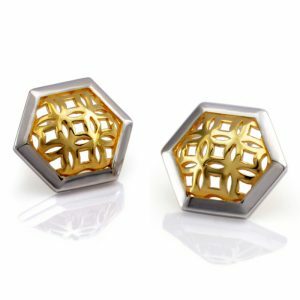 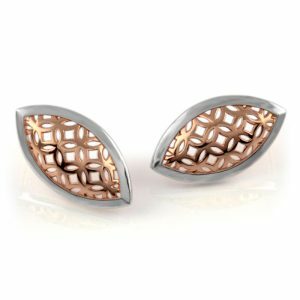 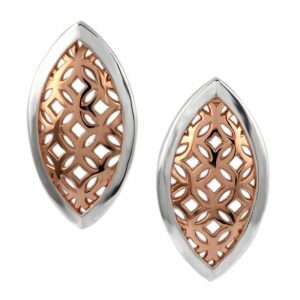 Peardrop shaped drop earrings featuring an outer rim containing a geometric pattern of interlocking circles with a domed profile. 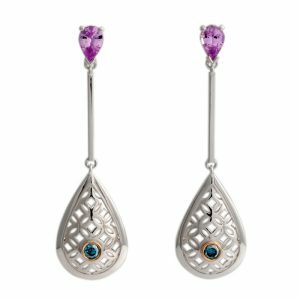 A 3mm/0.10ct round brilliant blue Diamond becomes the centre piece accented within a full bezel setting. 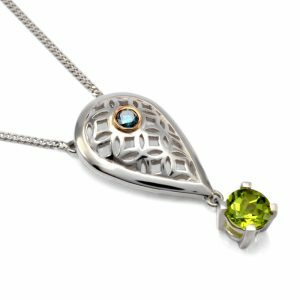 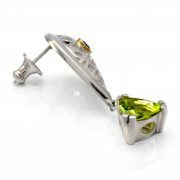 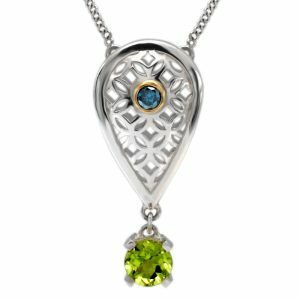 Claw set, 8mm/1ct, trillion cut Peridots dangles below the main pendant element providing a lovely colour contrast. 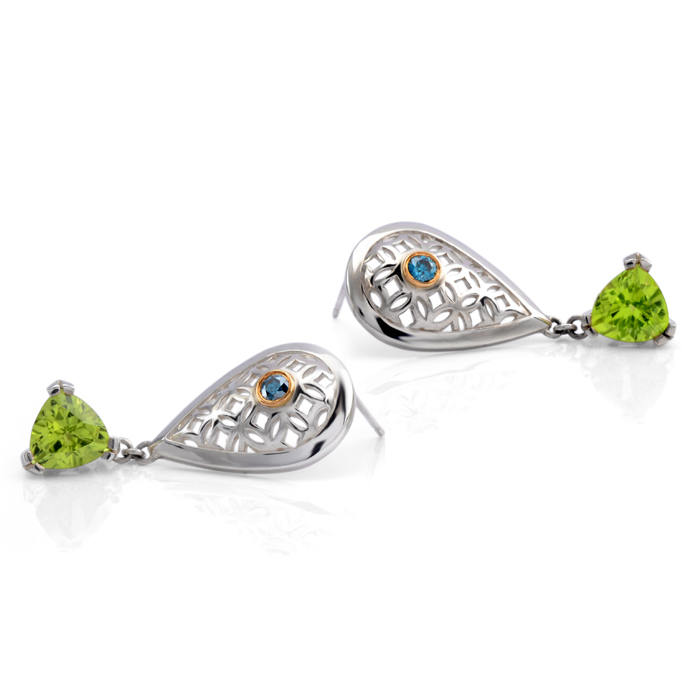 Features butterfly scroll backs. 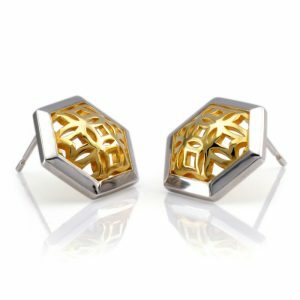 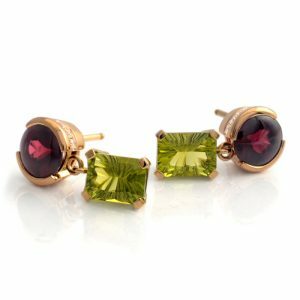 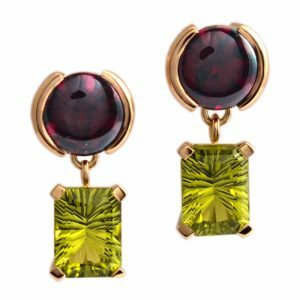 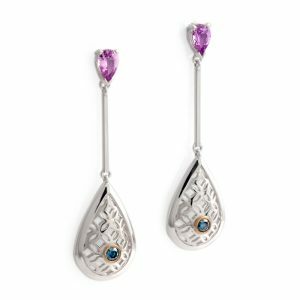 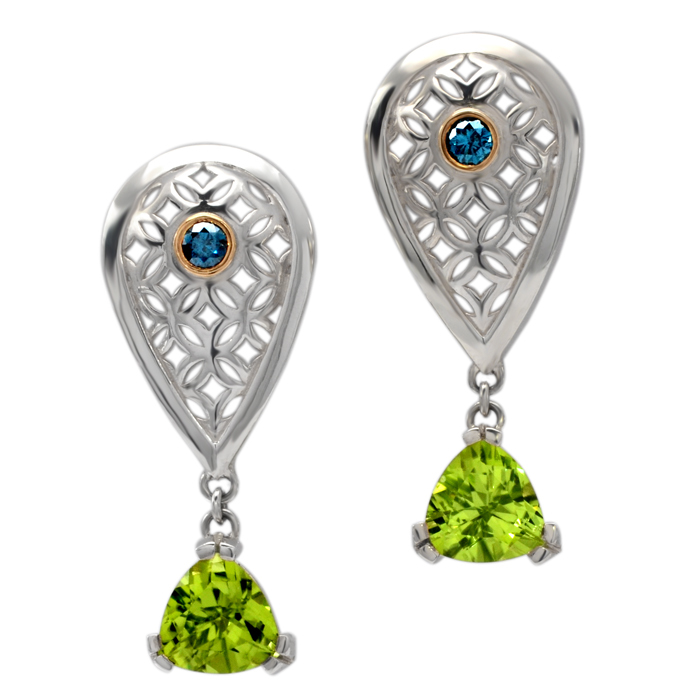 These earrings feature custom cut one – off stones and this item has now sold. 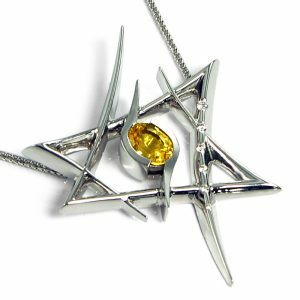 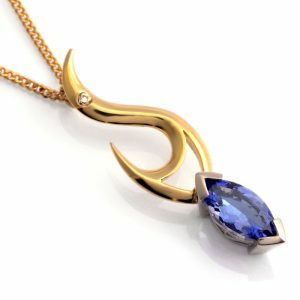 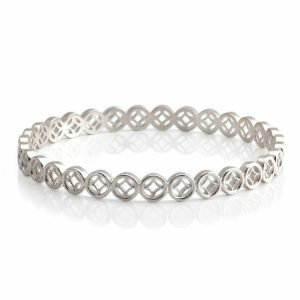 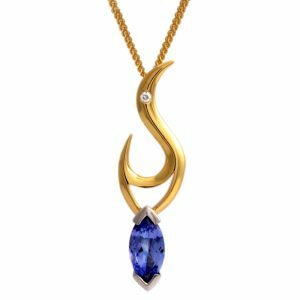 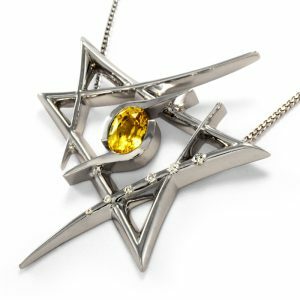 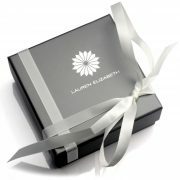 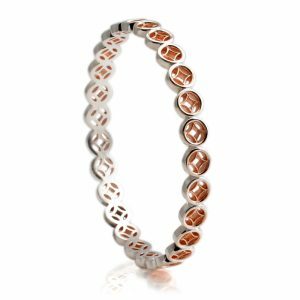 If you would like this design with similar accent gemstones please contact Lauren Elizabeth to discuss an order made to your specification.